I’m the kind of girl that likes plenty of options when faced with a choice. The cereal aisle (if I dared to stand in its void) doesn’t intimidate me at all. I just wish I had the time to catalogue it ;-). So, when I saw that the Spring & Summer 2012 Palette Challenge was announced over at The Coletterie, it was out of character for me to want to play along. Those lovely constraints (which I need but often avoid) would only have me “obligated” to my color palette for a couple of months. It would also give me an opportunity to focus on a handful of patterns, say 4 or 5 garments that could be mixed and matched into two weeks worth of outfits. Limits with limits. I can work with that! 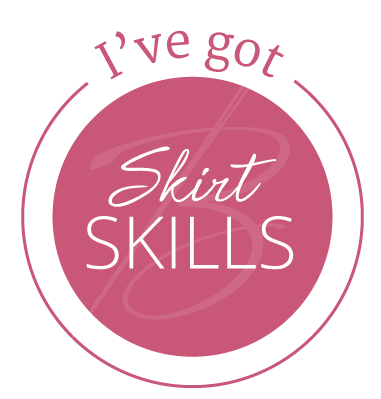 The challenge is pretty low-key and should fit nicely with The Sew Weekly’s upcoming themes, but Operation Sew Balanced needs my attention for the moment. Perhaps in a week or so, I’ll decide if I will fully participate (Flickr group, forum, etc.) or simply remain an inspired and supportive lurker. In the meantime, here is a palette of fabrics that would inspire any mini wardrobe I might sew this season. 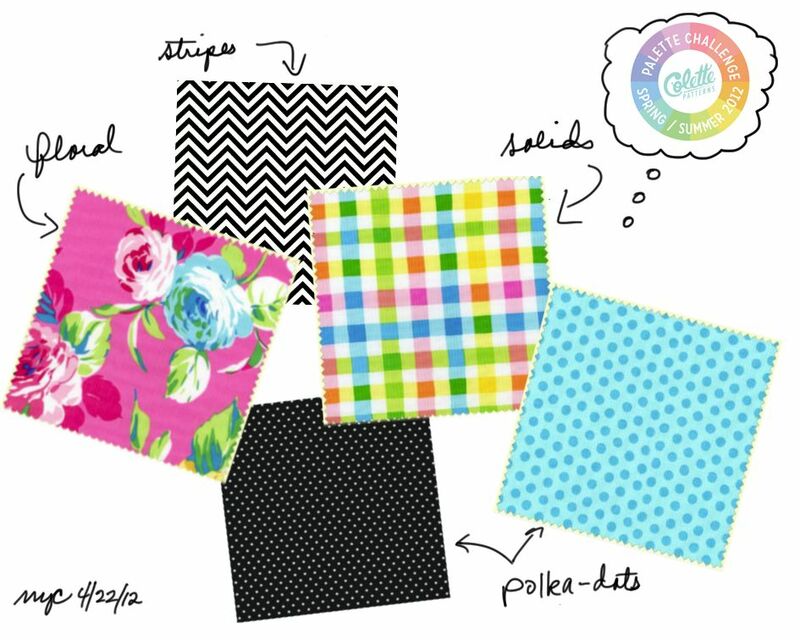 A signature floral, solids selected from a rainbow plaid, classic & cheery polka-dots, and chevron stripes for texture. (Fabric: Maywood Studio’s Calypso collection, Robert Kaufman Pimatex Basics & Remix collections). Got any color-coordinated wardrobe plans this season? This entry was posted in Challenges, Design Notes and tagged coletterie palette challenge, color palette, floral prints, inspiration, inspiration board, mini wardrobe, spring, summer, swatches, The Colleterie, wardrobe sewing. Bookmark the permalink.